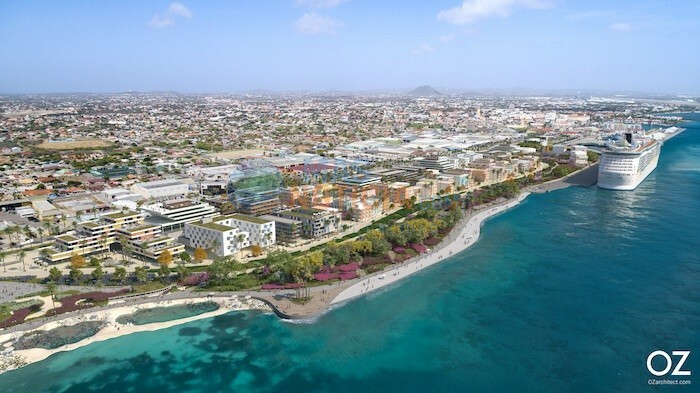 Post subject: Government of Aruba approves Port City Oranjestad. the Tamarijn Beach Resort, and a waterfront entertainment stage. The Bushiri Beach will remain public and easily accessible to cruise passengers. approximately 20 acres, and will include a waterfront park accessible to the public. 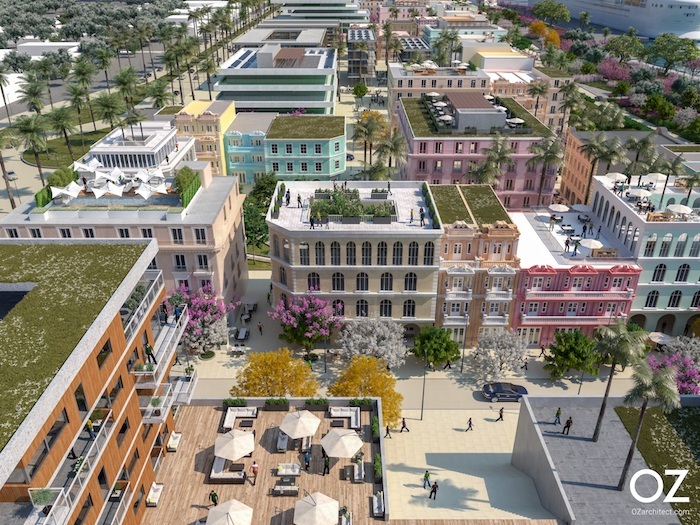 design of the buildings, and overall urban ambiance will reflect that of the Dutch tropical Caribbean. will do its part on infrastructure investments which will include a new road alongside the park at the waterfront. To be completed in 10 years? Yeh right. Thanks for the info Eddy. Glad to see that a good use will be made out of what used to be an eyesore. Aha I see, 10 years to plan it. But I'd bet that 20 or even 30 years from now people will be asking "Hey, whatever happened to that plan for Port City they talked about way back in 2019?" First phase will start in the fourth quarter of 2019. Which includes the construction of a boutique hotel, and the upgrade of Bushiri Beach, with all beach facilities. And they (whoever "they" are) at the same time will still be working on the green corridor? That's been in the works since what year? And still not finished. And the by pass from the airport to the high rise area? Where will all the manpower come from to work on these two unfinished projects plus start this new one? Great idea but not practical. One word ROADS. Have any of you ever tried to drive downtown when the cruise ships are in town which is every day. From 9:00ish in the morning until 6:00ish at night it's almost impossible to get through town. If you dare go it's an hour to navigate. The problem is people crossing the roads. They need to build pedestrian bridges OVER the roads, so traffic is not constantly stopped. A great idea but how do you direct the thousand of people who come off the multiple cruise ships to use the one or two bridges. I would think some type of barrier along the road on both sides would help move the pedestrian traffic towards one of 3 bridges. One at the start of the trolley, one at casino entrance and the other at the main entrance to the large parking lot. At those 3 locations, there would really be no inconvenience to anyone wanting to cross. You may be able to get away with only 2 bridges and still keep the traffic moving. Exactly, just like on the Las Vegas strip, it is pretty much impossible to cross the street unless you use one of the over the street bridges. Let's make Aruba great again.